In the last years 2M coordinated two European projects around early cancer detection. The first project was a fundamental research project to create the technological and medical essential building blocks to discriminate cancerous cells from non-cancerous cells. 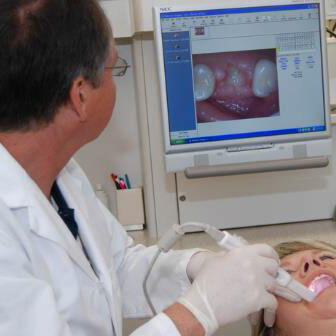 The second project was a so-called demonstrator project focused on oral cancer detection. Two prototypes are available as a result of these projects. Both technically feasible and with a direct interest from the involved medical specialists. An oral imaging system that helps to visualize and track progress of certain problems over time and provides fact based information about the problem area. The solution is affordable and can easily be added to any dentist practice. Technological solution based on the combination of a multi-laser sensor, image reference database and analytical software/algorithms. This solution provides effective diagnostic indications of tissue under investigation. Improved interpretation of oral mucosal abnormalities leading to fewer referrals/biopsies. Cross references to lesion database to help identify the lesion type. Despite the general accessibility of the oral cavity, multiple screening and detection techniques during physical examination, many malignancies are not diagnosed until late stages of disease. Occurrence of oral cancer in 2012 resulted in 372,000 new cases and over 150,000 deaths. 5 year mortality is approx. 50%. 8th most common cancer for men; Often no visible lesions or discolorations in early stage (local). Risk factors: tobacco, alcohol and HPV 16. Sufferers are 20 times higher risk of developing a second cancer. Early diagnosis results in >80% survival. Total market is 12,500 practices, total value of market is > 150 M€/yr. Primary screeners include: Otolaryngologists, Oral Maxillofacial Surgeons, Dentists, Radiation Oncologists, and Nurse Practitioners. Test: History, COE, Adjunctive tools (Blue light, Dye, Brush Biopsy). Result: Referral or Biopsy. No Diagnosis is made.